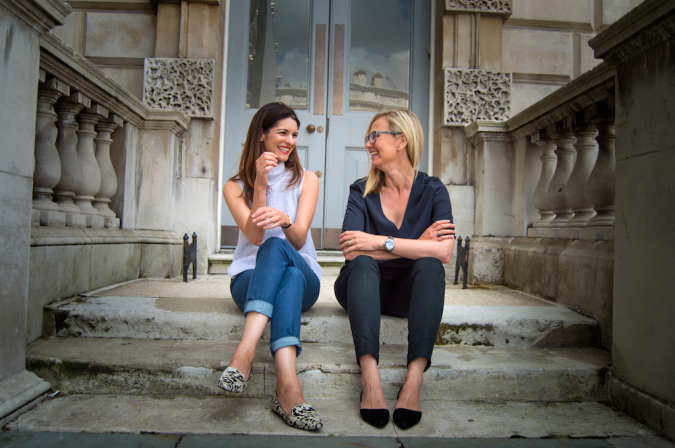 Kitty Dinshaw and Liezel Strauss founded Subject Matter Art, a London-based online gallery, in 2014. 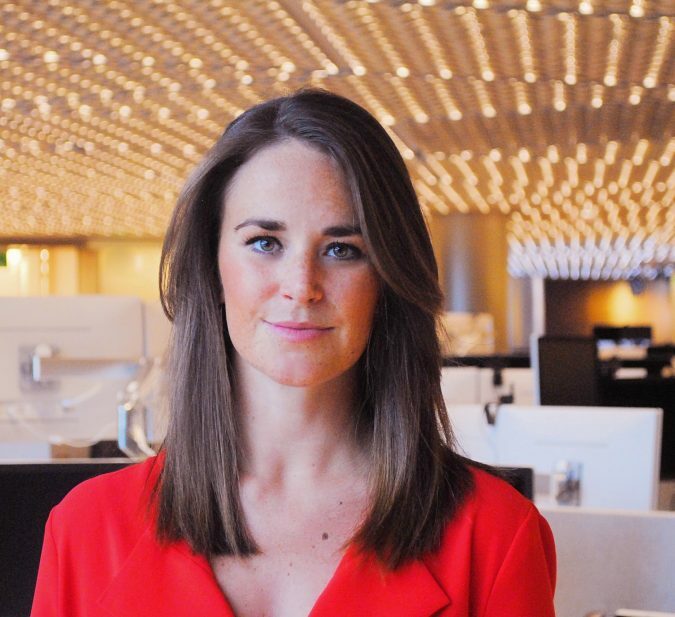 Jess Houlgrave co-founded Codex Protocol, a decentralized title registry for the arts and collectibles industry. Touria El Glaoui, the founder of 1-54 Contemporary African Art Fair, with iterations in London, New York, and Marrakech. 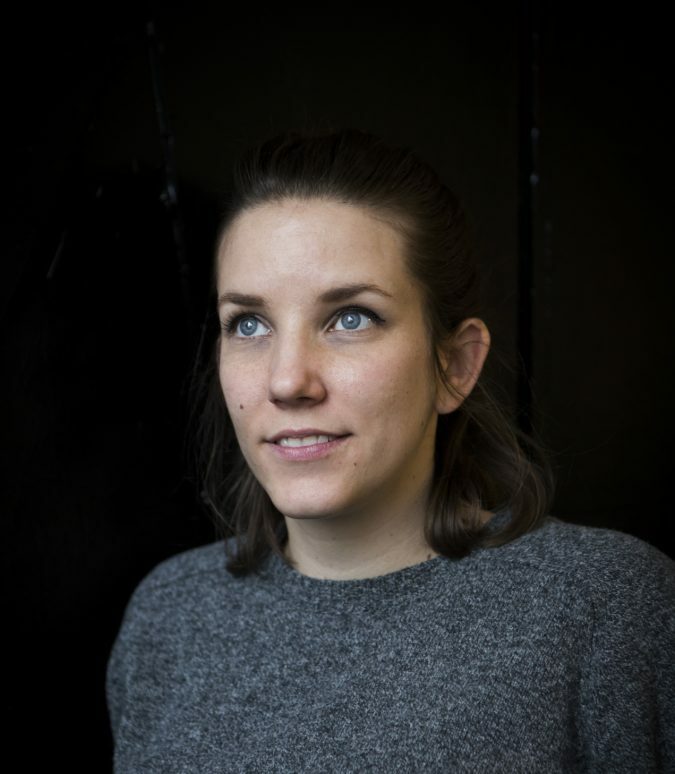 Bernadine Brocker is the founder and CEO of Vastari. 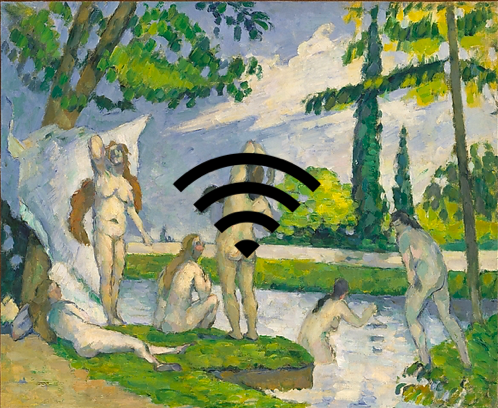 Original Image: Bathers (1874-75) by Paul Cézanne. Metropolitan Museum of Art, New York. Image courtesy of Metropolitan Museum of Art. 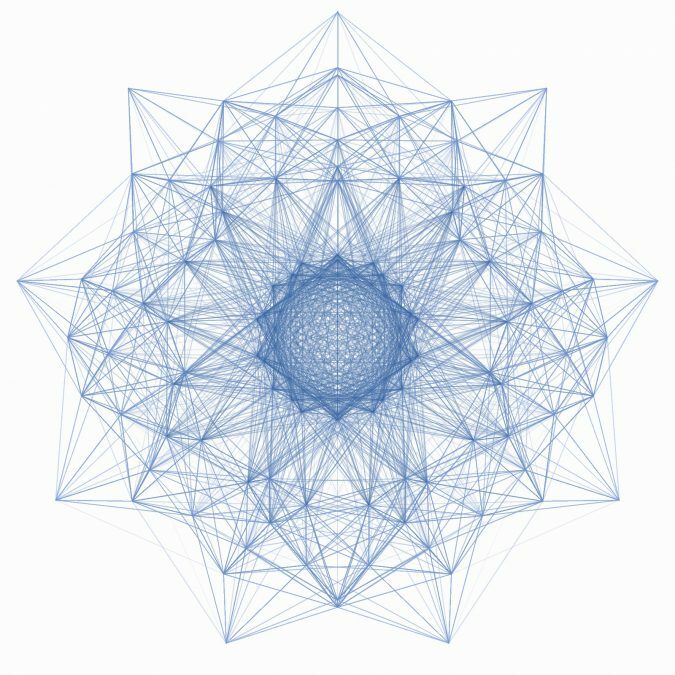 A still image of “Symmetry” by Vishal Kumar, a work of data art created using computer software. The algorithm used to produce this work uses the parametric equations of 12 circles to draw and connect their X and Y coordinates. Randomisation is then added so the interactions between the coordinates is never the same. Image courtesy of Vishal Kumar.